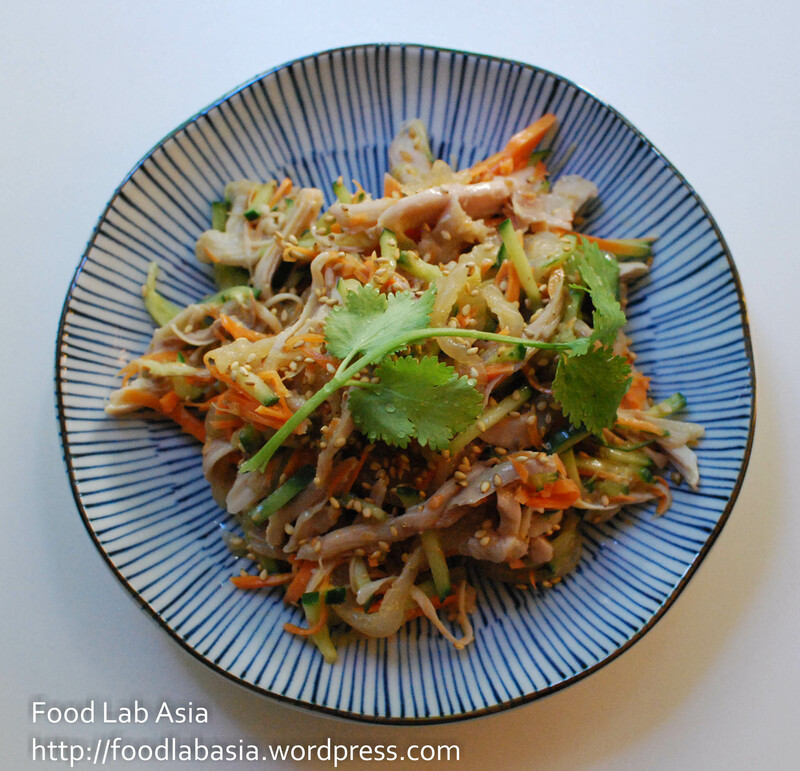 Food Lab Asia | I love food. Whenever I see some dishes I like in restaurants, on TV, magazines or on the Internet, I like to try them out. So here is my lab report on the recipes I attempted. I don’t like eating hot dishes in the summer, because it makes me feel a lot hotter than I should feel. While I was looking for something cold to make, I found this shredded chicken dish in a recipe book. I’ve made something similar to this before (click here for the post), basically you just cook the chicken, shred it, and mix it with whatever you like. Hmm… actually now as I’m writing this post, I’m thinking of the another “shredded chicken” dish! haha! 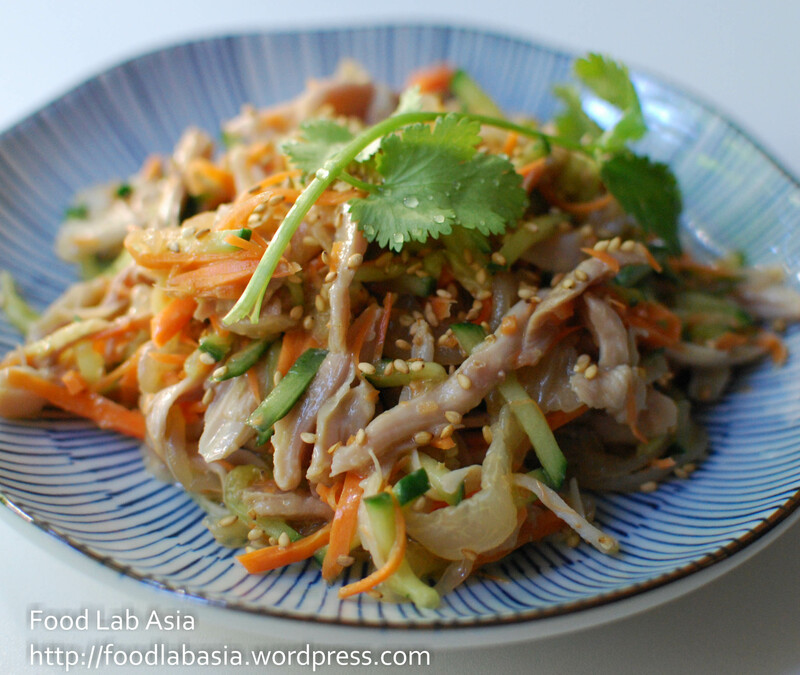 I didn’t know “shredded chicken” is so popular in Chinese dishes! 2) Boil a pot of water. Put the chicken in when water starts to boil, and then when the water boil again, cover the lid and turn off the heat. Let it sit for 20-30 minutes until cooked. 3) Let the chicken cool and then shred. 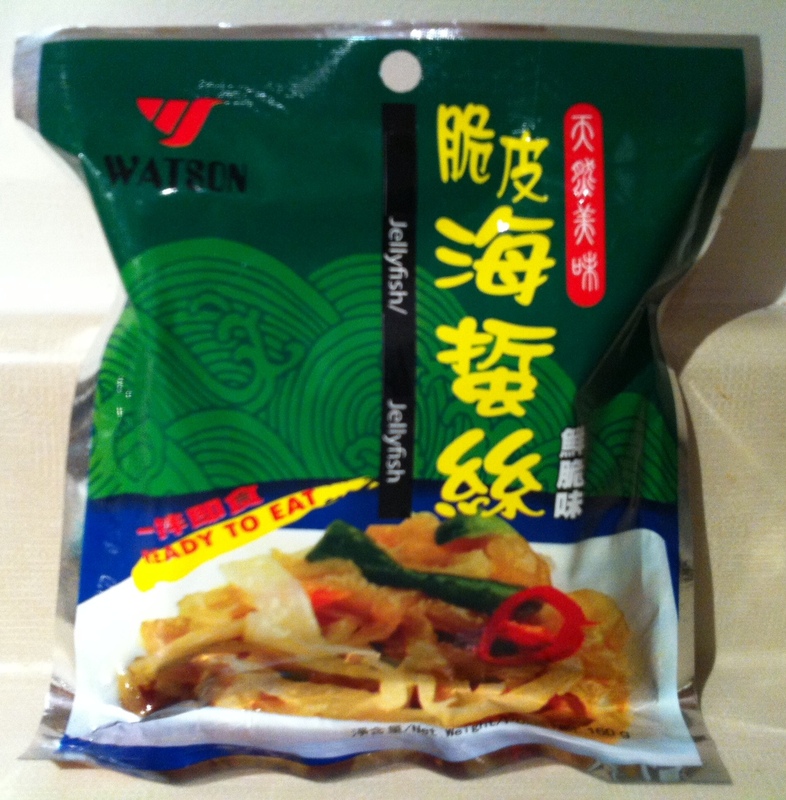 4) Prepare the jellyfish as instructed on the package. 5) Julienne the carrot and cucumber. 6) Mix the sauce ingredients in a small bowl. 1) This is the ready-to-eat jellyfish that I got from T&T. I have bought those non-processed jellyfish before… but it took too long to prepare. It’s easier to use ready-to-eat ones. 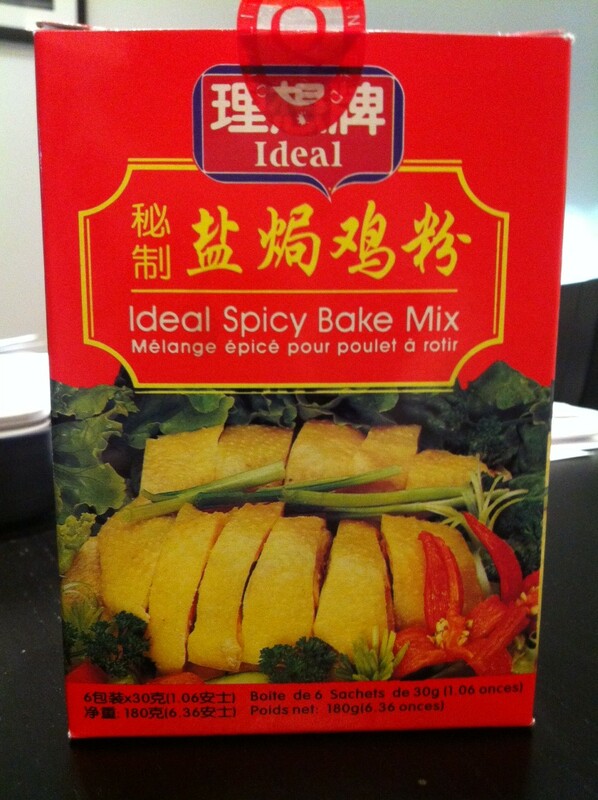 2) This is the Ideal Spicy Bake mix that I use. I like to use it for marinating chicken. The Clover Leaf spicy Thai Chili tuna was on sale for $0.99 per can. I couldn’t resist buying a few cans. 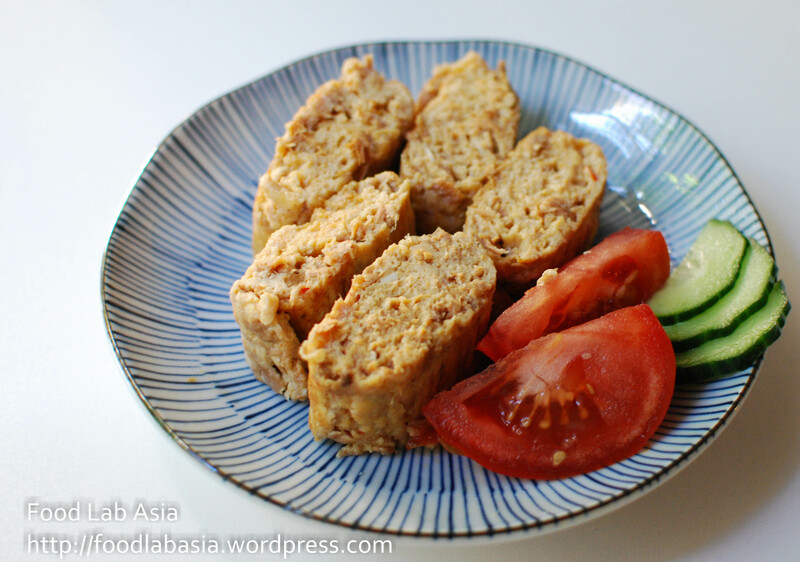 While I was thinking how to eat it besides the usual “eat it with cracker” way, tamagoyaki came to my mind. Yep! It’s egg again! Hahaha! 2) Heat up a small pan. Turn the heat to medium. 3) Brush oil onto the pan. Pour a thin layer of the egg mixture onto the pan. When it’s half cooked, roll one side of the egg to the other side. 4) Brush oil onto the pan again. Lift the tamagoyaki and brush oil under the tamagoyaki as well. 5) Pour a thin layer of the egg mixture onto the pan. 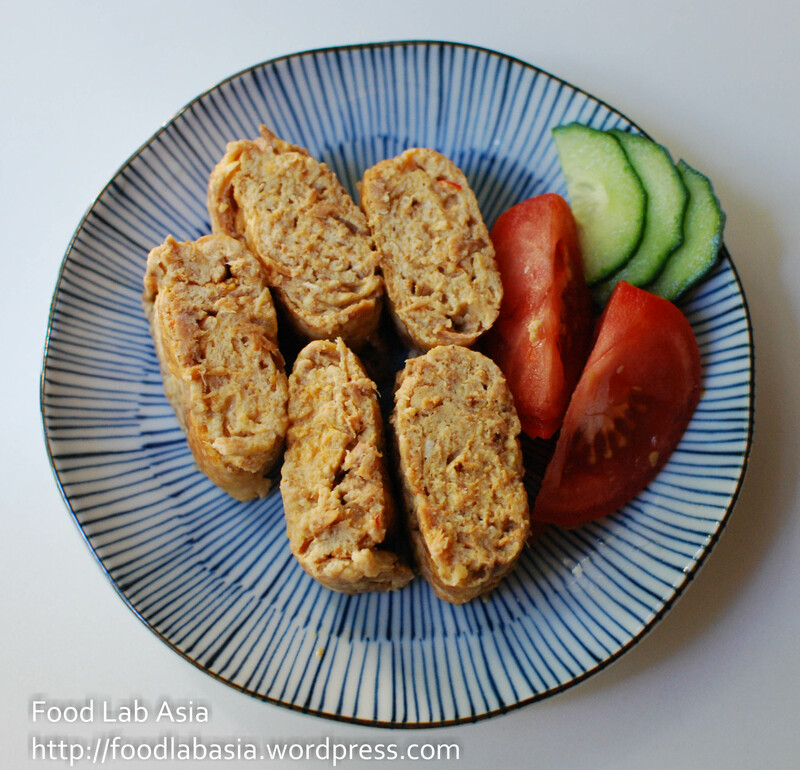 Lift the tamagoyaki and let the egg mixture go under the tamagoyaki as well. 6) When the new egg layer is half cooked, you can roll the tamagoyaki to the other end of the pan. 7) Repeat the process of brushing oil, pour in egg mixture, roll the tamagoyaki from one side to the other side until the egg mixture is finished. 8 ) Prepare a piece of saran wrap and place it on top of a sushi mat. Put the tamagoyaki onto the saran wrap while it’s still hot. Wrap it. 9) Roll the sushi mat and shape the tamagoyaki into the shape you want. 10) Let it sit and cool. Cut and serve. 1) You can add some spice into the eggs if you want it spicier. I find that one can of the tuna is pretty good already for 4-5 eggs. 1) Mix everything in a medium size bowl. Stir in one direction (only) until all the ingredients are evenly mixed and it becomes like a paste like texture. Cover and put it in the fridge for 30 minutes for the flavour to come out. 2) Scoop a spoon of the fish cake mixture into your hands and roll it into a ball. Flatten. 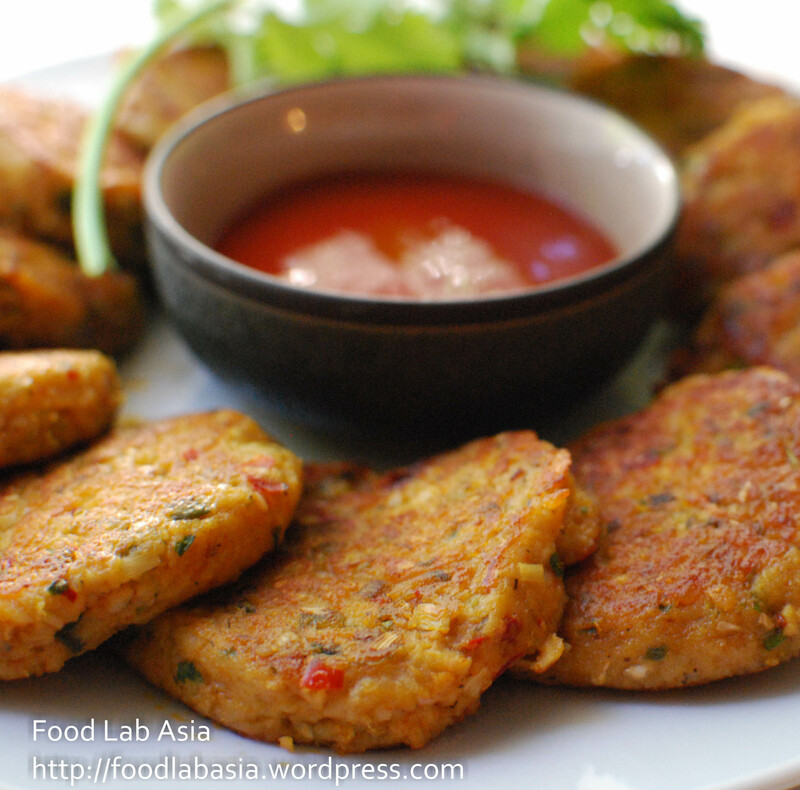 You should be able to make about 10 fish cakes. 3) Heat up a non-stick pan to medium heat. Put the fish cakes in and pan fry for about 3-5 minutes. Flip over and cook for another 3-5 minutes, or until cooked. 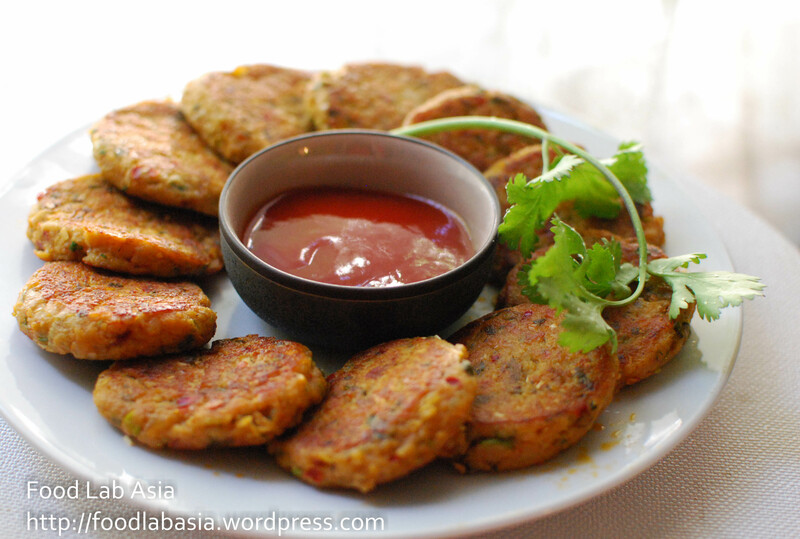 You can lightly press the fish cakes as you cook. 1) Well I don’t think I’ll go back to T&T for dace fish paste after this… very disappointed at T&T. 2) Definitely will try it with shrimp! I’m sure I’ll turn out good! hehe! Anyway. When it comes to soft food, the first thing I would think of is eggs. Even if you “hard boil” it, it’s still relatively soft enough for my teeth. 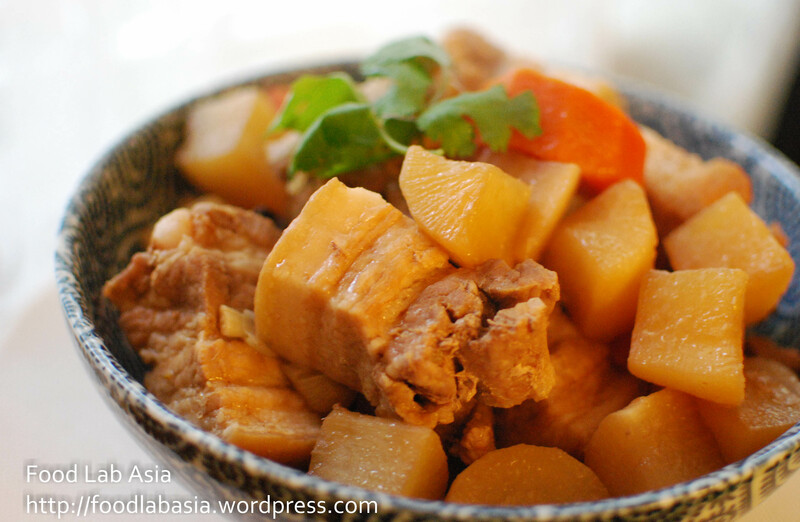 Next soft food that comes to my mind is TOFU! 🙂 So today I made tofu with thousand year egg! Hmm I have made it and posted it before (post is here), but I wanna try another version of it. 1) Wash the cilantro, finely chop it. 2) Cut the tofu into small cubes. 3) Peel the eggs, and cut it into small pieces. 4) Mix the eggs and chopped cilantro together in a small bowl. 5) Mix the ingredients of the sauce together. 6). 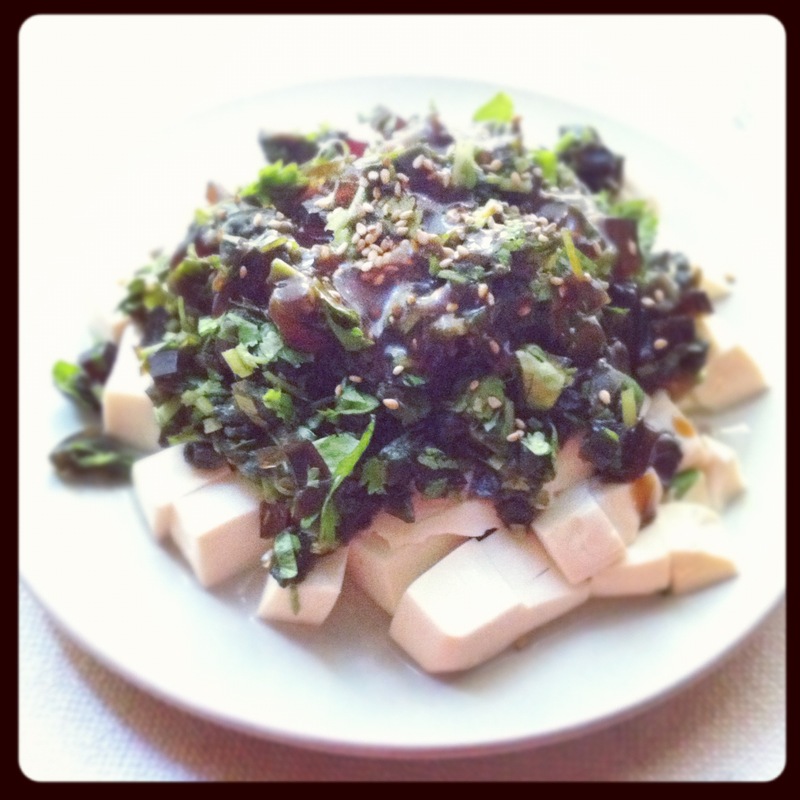 Put the tofu on a plate, then put 4) on top of the tofu. Sprinkle sesame on top. Then pour 5) on top. DONE! 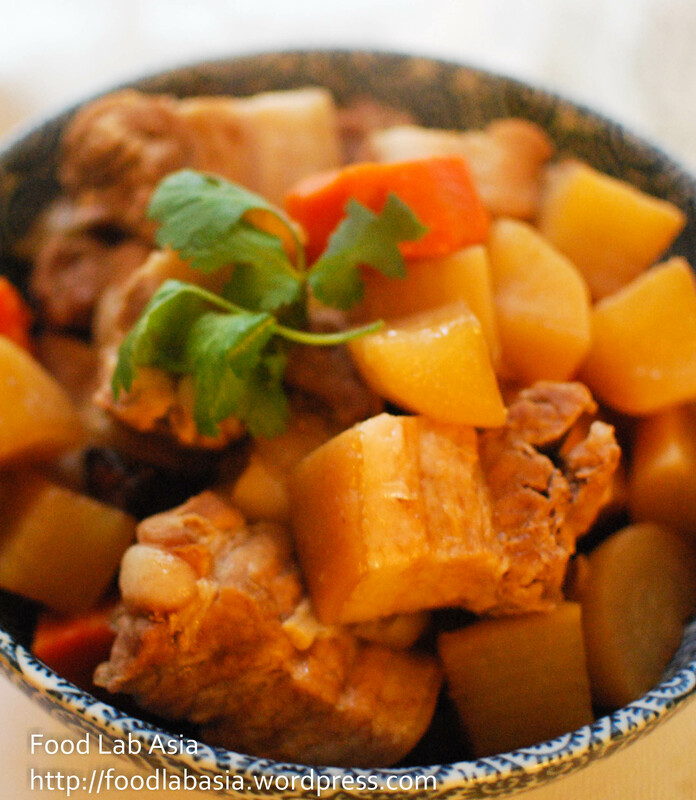 1) This dish is very good to be eaten with rice. 2) The picture isn’t that great, because I took it with iPhone… I’m even getting lazier at taking pictures. BAD ME! 1) Wash the okra, then use coarse salt to rub the okra. I read that it helps to remove the tiny hair on the okra. 2) (Optional) Put the okra in a small bowl, then pour hot water in. Cover and let it sit. 3) Cut the okra into small pieces. 4) Thinly slice the picked daikon. 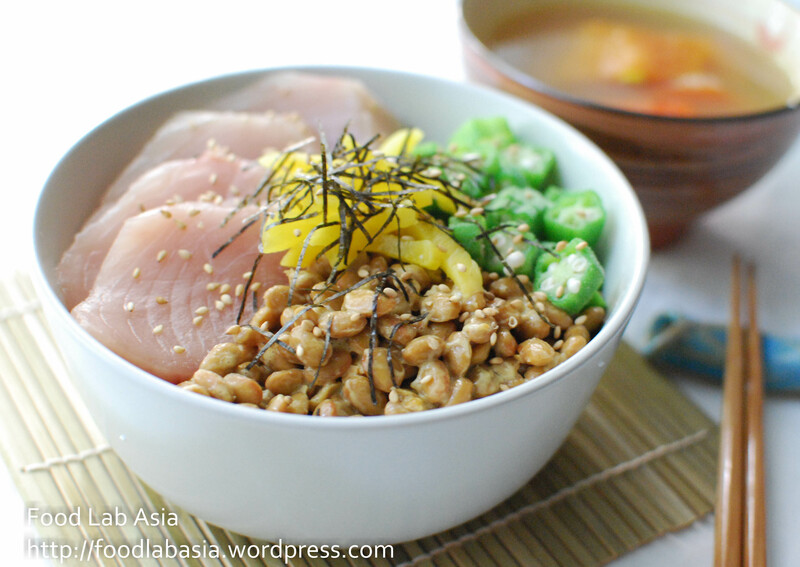 5) Open a pack on natto and mix it well. 6) Put cooked rice in the serving bowl. 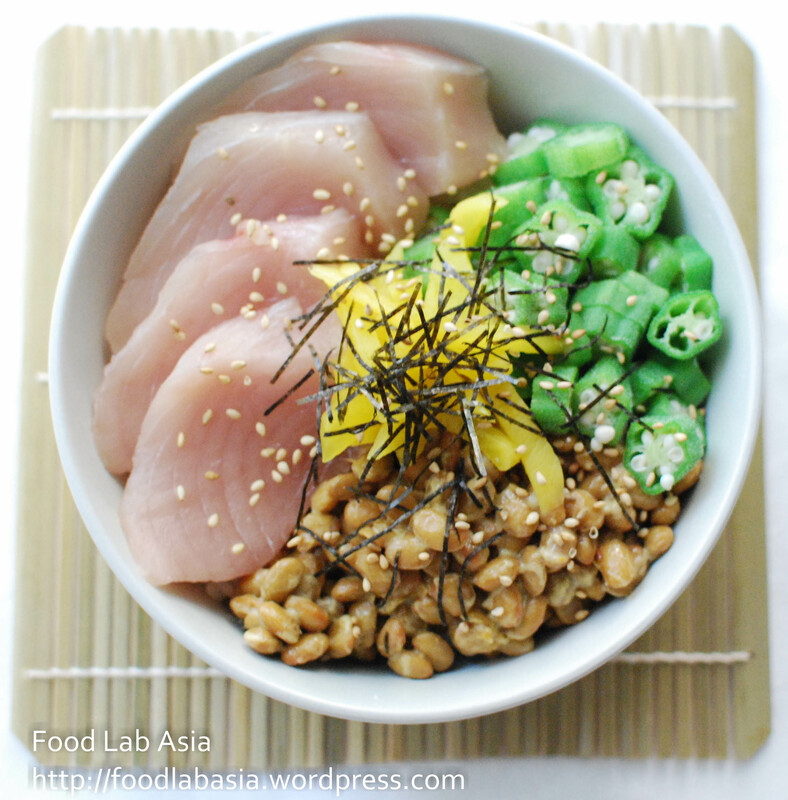 then put the okra, natto, tuna sashimi and pickled daikon on rice. Sprinkle seaweed strips and sesame seeds on top. Pour soy sauce on top. 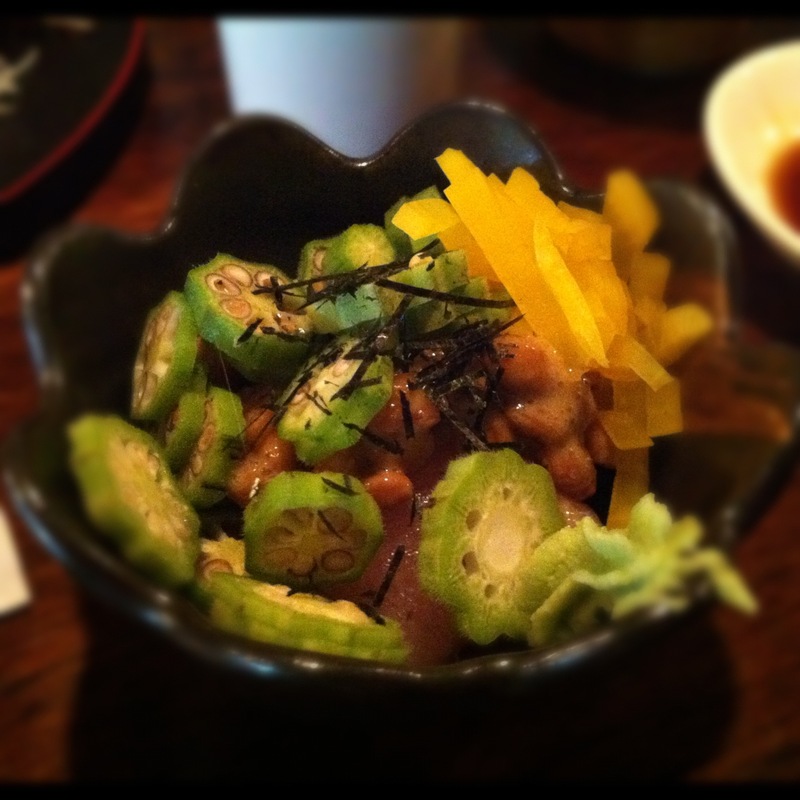 1) The okra at Guu was not cooked. I don’t really like fresh okra, that’s why I soak it in hot water to soften it and to get rid of that “fresh” taste. I mentioned in my other post that there was this Hong Kong TV show about soup, and the guest chef, Hilda Leung, introduced a soup recipe every episode. 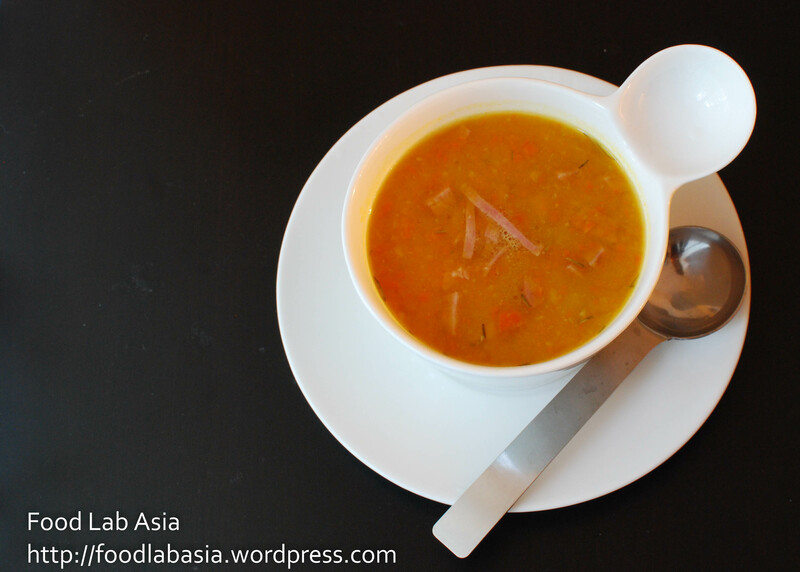 One of the soup recipes that she introduced was the apple carrot butternut squash ginger soup. I’m a big fan of butternut squash; I really like the creamy texture of blended butternut squash in soup. Also, butternut squash is supposed to be very god for your body. Hmm… I’m so gonna try this recipe! 1) Heat up a medium size pan. Melt the butter. Put the shallots in and stir fry until the fragrance comes out. Put the apples, carrots, butternut squash and ginger in. Stir fry for about 2 minutes. 2) Put water in, then add the dried rosemary. Cook for about 20 – 30 minutes. 3) Use a hand held blender to blend the soup. 4) Put the ham/sausage in and cook for another few minutes. 5) Add salt and pepper to taste. 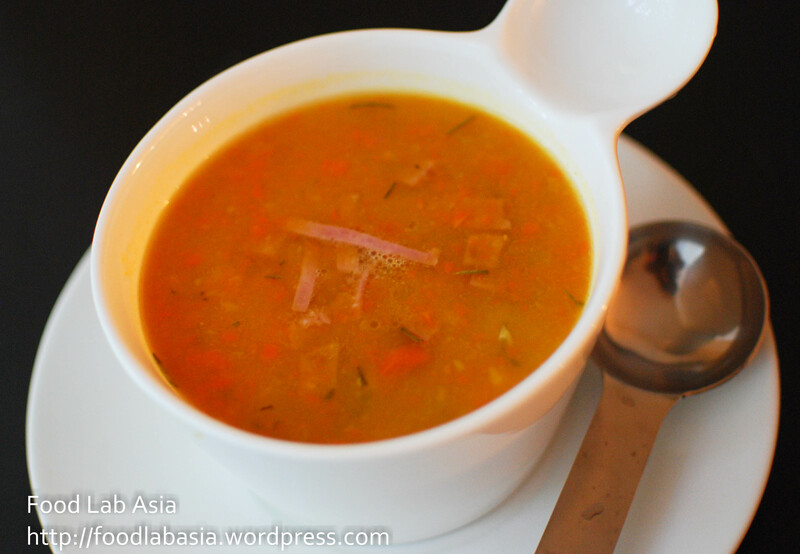 1) I really like this soup! I like butternut squash, I like ginger, and I like apples! My faves in one soup! Perfect! 1) Peel the radish and carrot. Cut into bite site. 2) Cut the pork belly into big pieces. Pork belly shrink after it’s cooked, so don’t cut it too small. 1) You can substitute pork belly with beef brisket. Actually you can put any type of stew meat in!